Is there a better alternative to Magic Cipher? 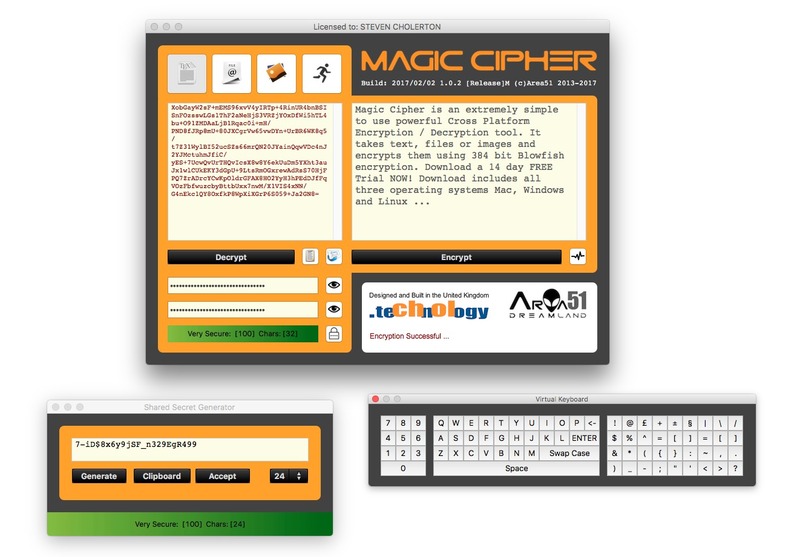 Is Magic Cipher really the best app in Security category? 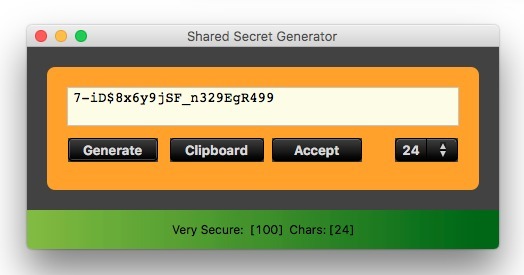 Will Magic Cipher work good on macOS 10.13.4? 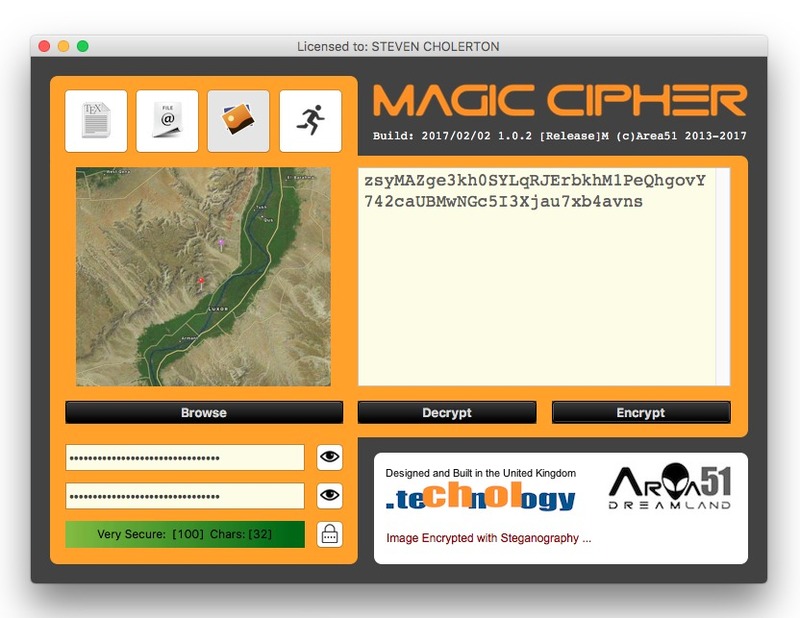 Magic Cipher is the latest and greatest incarnation of the award winning R10Cipher. It is a simple-to-use, truly cross-platform encryption solution, ideally suited for anyone who wishes to keep his personal information private. 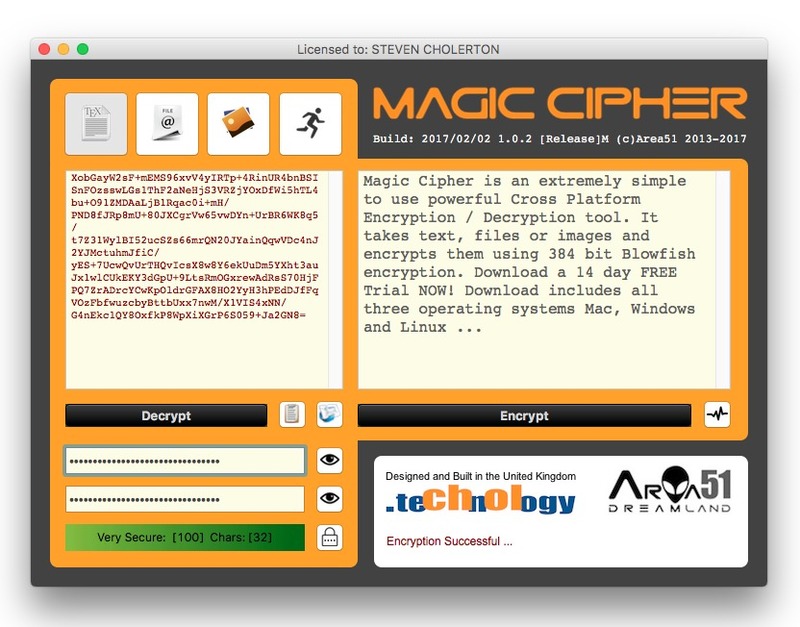 Magic Cipher will encrypt text, files, and folders, making them unreadable to anyone not in possession of the Shared Secret that was used to perform the encryption. It also makes it simple to hide information inside pictures and images, a technique known as steganography. You can even apply a watermark to your images, easily identifying them to your associates. Magic Cipher needs a review. Be the first to review this app and get the discussion started! Magic Cipher needs a rating. Be the first to rate this app and get the discussion started!